Article published in March issue of Endeavour Magazine. Access full issue here. As history has shown us time and again, efficient food production and farming is the key enabler of economic growth, and the stable platform upon which societal development can be achieved. if sub-Saharan Africa is to truly realise it’s great, and yet unfulfilled potential, make no mistake about it – fostering a vibrant and sustainable agriculture sector is essential. It will come as a surprise to few that agriculture is without question the most important industry across the sub-Saharan African region today – the statistics speak for themselves. Around two-thirds of all jobs on the continent are to be found within farming and agriculture, while for rural communities in isolated and undeveloped regions, farming and agriculture acts as the primary, and in some cases only source of food and income. The continent is facing the looming challenge of how to boost food production sufficiently to meet the needs of a fast-growing population – a task which will require sub-Saharan Africa to boost farming output and food production by 60% over the next 15 years. Suffice to say, the pressure is on for Africa’s farmers and its nascent agribusiness sector to maximise the potential of the soil beneath their feet, soil which is fortunately as lush and fertile as the earth is rich and laden with mineral wealth. Reassuringly, the means are there to not only achieve this goal, but surpass it. Across the South, East, and West of the continent can be found the industrious, hard-working farmers and labourers needed to work the lands, and sources of investment capital and agricultural production expertise are available from a number of international bodies. With regards to the provision of the world-class equipment and service support needed to transform the sub-Sahara’s arable lands into a continent-wide breadbasket, companies of the calibre of Kanu Equipment are on-hand to meet the agricultural sector’s growing needs. Over the course of just four years, Kanu Equipment has quickly grown in reputation and stature to become one of the largest and best regarded distributors of constructiona and agricultural equipment and aftermarket spare parts in the sub-Saharan African region. The company’s role as a key partner to the mining and construction sector, for which it has supplied equipment on behalf of world-class brands such as Liebherr, is well-known, but increasingly Kanu is also developing a reputation across the agricultural sector which is no less impressive. “Our slogan is ‘experience the support’ – the key to our success, I believe, is the support we give to our customers in these territories where we do business. The customers, when we first started the business, always complained about that they had no support, no availability of spare parts; nobody had really cared after the deal was done. And we really care about our customers. Our whole existence is orientated around the support we can give to them, and the support we can give to our staff. Kanu Equipment’s dedication to delivering an unrivalled customer experience has helped the company to capture great swathes of the agriculture market share from its rivals in less than half a decade. Since it opened its doors for business in 2012, after starting life as an equipment and service provider to the Congolese construction sector, Kanu’s customer-centric and unrivalled professionalism saw the company expand rapidly into new industries across the West and South of the continent. The Kanu name, which was inspired by an old African tale, Kanthu N’Khama, meaning “hard work pays”, is a fitting one for the company, which has worked tirelessly to help their customers reduce operating costs and improve productivity. 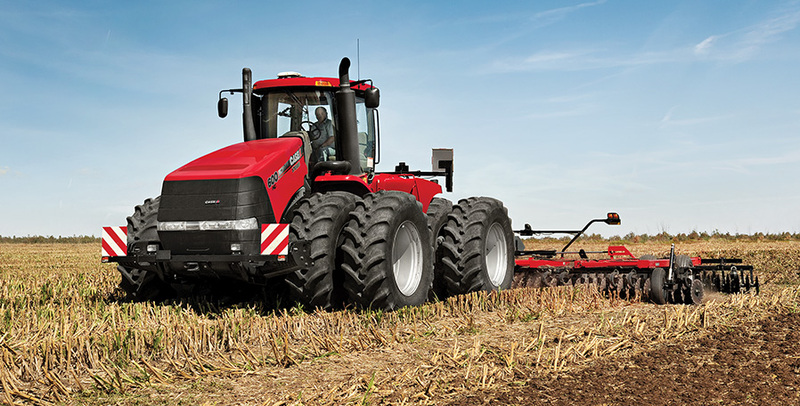 Whatever equipment or machinery it is that an agribusiness or farmer may be using, Kanu offers an array of brands in the aftermarket space to ensure that it can be repaired. In addition to this, the strategic placement of Kanu Equipment’s branches, particularly in Western Africa – arguably the company’s leading market – along with its linguistic ability to provide support in both Anglophone and Francophone countries, means that whether your tractor breaks down in the Ivory Coast or Ghana, maintenance support is only a short distance away. Over the medium to long-term it is difficult to predict whether Africa’s agricultural sector will manage to maintain its impressive rates of growth, but Smithyman is optimistic about what the future holds for the company. Following its recent adoption by Phatisa – an African private equity fund manager with committed investments of over US$209 million across the continent – Kanu now has the resources available to expand its operations even further, in partnership with an organisation that is equally as committed to the sustainable development and advancement of the continent. The company’s forthcoming expansion into booming East Africa is the perfect example of this, where it is set to take the market by storm. Certainly, this is a sound move on the part of Kanu, bearing in mind how the region is presently the fastest growing region in the world. Should Kanu Equipment succeed in achieving its goals over the years to come, it is foreseen that the company will then be listed on a European stock market by 2020 – a date by which the Kanu brand will have succeeded in covering the African map. Going by its achievements thus far in so short a space of time, you wouldn’t bet against them.